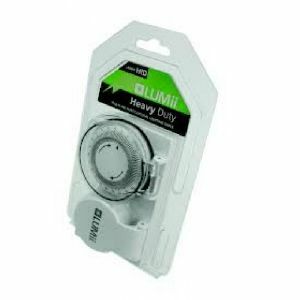 The LUMii Heavy Duty 24 Hour Plug In Timer is different – as the name suggests it is designed to take high loads and has no problem dealing with the inductive loads produced by a 600 watt ballast. This means no separate contactor is required, saving you money. There are 96 switching operations within a 24 hour period (every 15 minutes). Heavy duty contacts mean it can take high inductive loads. It is suitable for timing 1 x 600w HID ballast or up to 6 x 200w CFLs. It is very reliable and has a high quality timer unit with a robust 'inline' case design with socket and timer dust covers.